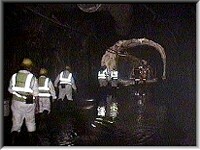 The compilation follows members of the Shropshire Caving and Mining Club as they explore some of the mining heritage of Ireland, this "mining gem of a country" in 1995 and '96. Also see Compilation 45, a DVD based on this compilation, with added commentary. The recording features: Avoca copper mines, Co. Wicklow including Tigroney & Cronebane. Silvermines and Shalee silver/lead mines, Co. Tipperary (including underground exploration). Glendalough and Glendasan (Luganure) lead/zinc mines, Co. Wicklow. 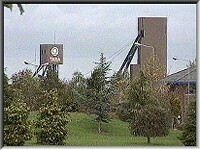 Tara zinc/lead mine, Co. Meath: the largest zinc mine in Europe (Extensive underground and surface tour of the working mine). 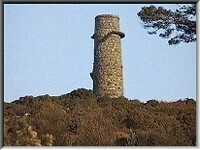 Glenmalur lead mines & Ballycorus smelt flue & chimney, Co. Wicklow. Bonmahon & Knockmahon (Tankardstown) copper mines, Co. Waterford. Ross Island copper-age copper mine, Co. Kerry, the earliest metal mine site in the British Isles. Muckross C18th copper/cobalt mine, Co. Kerry. (Kerry visits organised by MHSI) Cappagh & Ballycummisk C19th copper mines, Co. Cork. Mount Gabriel bronze-age copper mines, Co. Cork. 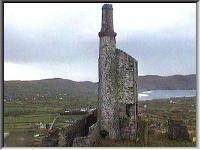 The famous Allihies copper mines, Co. Cork, including Dooneen, Mountain mine, (surface & underground) Caminches, Coom, Kealogue & Dunboy Castle. Carrigcrohane copper mine, Co. Kerry. 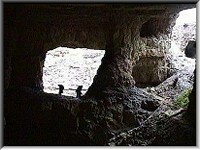 Derryginagh barite mine, Co. Cork. The Mining History Society of Ireland was inaugurated in February 1996 and many people who helped with these visits are now members. 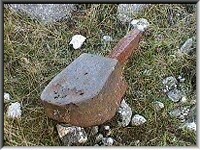 Now re-named as the Mining Heritage Trust of Ireland, membership details can be obtained from their Website. For many more images from this compilation see the Feature page "The SCMC in Ireland"
And the DVD production "Land of Poets, Scholars and Mines"
This compilation has no commentary. 'PAL' and 'NTSC' versions available. Please see the 'Sales' page for additional purchasing information. The images on this page are taken from the video.